Dion Dublin is a Former Footballer and BBC Football Pundit for MOTD2. 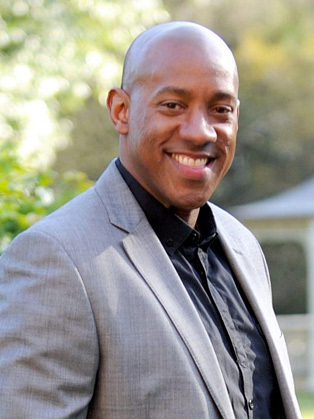 Dion Dublin is an English former footballer and television presenter. Born in Leicester and of Nigerian descent, he was capped four times for England. Dion Dublin is one of England’s most loved footballers after having been given legendary status at so many of his former clubs. Whilst at Cambridge Dion helped the team move up from the old Fourth to the Second Division. He scored on his Manchester United debut, won four England caps while at Coventry City and was the joint top scorer in the Premier League while at Aston Villa. Since retiring from professional football in 2008 Dion has built a successful media career as a football pundit for the BBC, Sky and BT Sport. This season he will be a regular guest on Football Focus, Final Score and Match of the Day 2 for BBC and BT Sport Score. Dion made his debut as a presenter on hit daytime TV show Homes Under the Hammer in April 2015, where he continues to get rave reviews. Aside from his love of football Dion is extremely passionate about his music. He was a guest on BBC Radio 6 Music’s Roundtable, reviewing latest music releases. He has also invented a unique musical instrument called The Dube – a percussion instrument which has been endorsed by Courtney Pine and has been used by bands such as Feeder and The Maccabees. He also manages a band, “The Establishment” who have released their debut album, and is an accomplished Saxophonist. He has a particular interest in Jazz music and his Dube was seen at The London Jazz Festival. Dion is on the board of directors at the Birmingham Royal Ballet.